Media coverage — limited and biased as it is — invariably portrays the housing crisis as a London issue. It’s true that the shortage of decent, secure, affordable homes in the capital is acute and blighting the lives of millions. The insanity of the London housing market, in which the average price is now £600,000, is driving a frenzy of speculative investment, bolstered by government policy. The council estate in Islington where I work is currently surrounded by building sites as private property developers greedily gobble up more of the city, building homes few can afford. The Tory Housing and Planning Act will make that easier for them. If the Act comes into operation, publicly subsidised “starter homes” costing £450,000 will count as “affordable” housing and council estates could be the next target for the poverty developers. But the London situation has a ripple effect. The virtual impossibility of buying a home and crippling rents, even for those on decent wages, are driving people out and creating knock-on pressure for housing in the suburbs and beyond. Scarcity of genuinely affordable housing, longer waiting lists and parasitic slumlords are now a big problem beyond the M25. Last year the two least affordable cities for housing were Oxford and Winchester. In two-thirds of Britain a young couple on average wages can’t afford to rent privately without spending over 30 per cent of their income on rent. At the most extreme end of the housing crisis, the number of “rough sleepers” has risen sharply outside of London, with tenfold increases in Bristol and Manchester since 2010, while the figure has doubled in Milton Keynes, Bedford and North Devon over the past year. Of the 20 council areas where street homelessness has increased most, 13 are outside London. In what is a parable of our broken housing policy, in May this year Redbridge Council in outer east London purchased a site in Kent to house some of the 8,000 households on its waiting list. With more resources and the cheaper price of housing outside London, Redbridge was able to “outbid” local Canterbury council which has 2,500 on its own list. The land in question was previously owned by the Ministry of Defence — ie us — the same organisation that Channel 4’s Dispatches programme recently exposed for its appalling record in using publicly owned land to meet the national housing crisis. Some working-class people in Canterbury, where house prices have risen by 326 per cent since 1995 and the average is now £276,000, are having to look further afield for a home. Perhaps unsurprisingly, the Redbridge move has already provoked some undercurrents of anger articulated in racist terms by people who see “outsiders” from London coming to occupy homes in “their” county, one where Ukip has enjoyed significant success. But Redbridge is not alone in shipping out those in housing need to other parts of the country. According to Shelter, last year 17,150 families were housed outside the area in which they claimed housing assistance, 90 per cent of them by London councils, one in 10 of them to areas beyond the capital. These cases included egregious and potentially unlawful examples like a woman made homeless in west London being told that moving to Hastings would keep her “close” to the London hospital where her sick child was being treated. London councils sent 150 households to Birmingham, while Birmingham city council was forced to send homeless families it was responsible for to other parts of the west Midlands. The desperation of councils, particularly London authorities, to find private rented accommodation outside of the city for homeless families is pushing up rents in those areas, contributing to the grotesque figure of £9 billion in housing benefit now being paid to private landlords. But while landlords cash in, caps in benefit payments are making it even harder for those in housing who need to stay close to home. All of these forces will accelerate with the Housing and Planning Act. Higher rents under “Pay to Stay” will push more working-class families out of London, while it will compel those outside to look at exercising the “right to buy,” thus further reducing the supply of social housing for rent. The nationwide dislocation and churn of those in housing need will continue with ruinous consequences. But the campaign of Jeremy Corbyn offers a message of hope. His commitment to build one million homes in five years — half of them to be council homes — and control rents in the private rented sector is the antidote to Britain’s housing crisis epidemic. 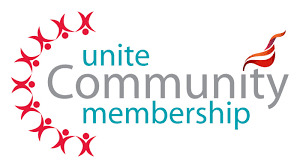 It’s for all these reasons that Unite Community in the south-east is organising a Housing Crisis Roadshow culminating in a regional day of action on October 1. For more information about the activities in your area or to get involved, contact Unite regional organiser Kelly Tomlinson on (07941) 344-2835. Housing Crisis Roadshow dates are Oxford, Monday, September 5; Reading, Friday, September 9; Bracknell, Monday, September 12; Worthing, Wednesday, September 14; Milton Keynes, Friday, September 16; Southampton, Monday, September 19; Dover/Kent, Wednesday, September 21 and Eastleigh/Hampshire, Friday, September 23.